Basseterre, set against the irresistible backdrop of St. Kitts' emerald green hills and punctuated by elegant Georgian architecture, is one of the best of the Caribbean's small capitals. Its French name simply means "lowland," a description that must have been scratched onto a French sea chart sometime during the late 1620s. In the 375 ensuing years there have been many Basseterres, for earthquakes, floods, hurricanes, fires, and invasions have all swept through this modest community. Set before the dramatic backdrop of St. Kitts' lush green hills, Basseterre today retains much of the elegant Georgian character of Nelson's days. The domed colonial building that stands right on the waterfront is a reminder of the value of these islands as sugar colonies. It is the Treasury Building, or customs house, and through its arches passed virtually everything that arrived at or departed from St. Kitts, including until recently all visitors. Today Basseterre's French heritage is not nearly so prominent as its British colonial past. The centerpiece of the city's evocative Georgian architecture is its Circus, a diminutive roundabout modeled in proper Victorian patriotism after Piccadilly, in London. In the middle of the Circus stands the bright green bronze of the Berkeley Memorial Clock, an ornate, cast iron tower with four clock faces and more than a little architectural decoration. St. George's, though christened Notre Dame in 1670 by the French, was destroyed four times before it adopted its present, Georgian style in 1869. In the graveyard, however, are stones dating from as far back as the early 18th century. Built in 1790 for slave auctions and council meetings, this public square was officially named in 1983 to commemorate the independence of the island Federation of St. Kitts and Nevis from Great Britain. It was here at Old Road Bay that Sir Thomas Warner, along with his family and 14 others, began the first permanent European settlement in the Leeward Islands. The settlers were at first on good terms with the island's Carib inhabitants, though such friendship lasted only a very few years. Rather than cultivating sugar, it was tobacco that had drawn Warner to the island, and it was the island's tobacco crop that first supported the settlement. The Warner family estate served as the capital of St. Kitts until 1727, when it was moved to Basseterre. Outside of Old Road bay are found a number of interesting Carib petroglyphs. 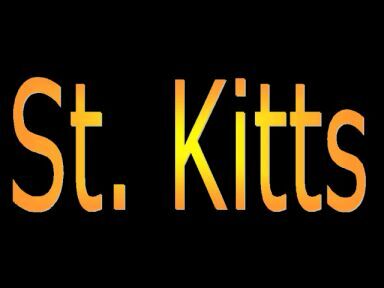 This second largest of St. Kitts' towns occupies the very spot on which Thomas Warner and his small party made landfall in 1623. During the 17th century Sandy Point was the center of the island's tobacco trade, and among Sandy Point's most fascinating sights are the large tobacco warehouses constructed during that time by the Dutch West India Company. Frigate Bay Peninsula stretches like the neck of an upturned wine bottle, connecting the main body of St. Kitts to the widened tip of the bottle's mouth at the Southeast Peninsula. One side of that neck--the dramatic windward beach at North Frigate Bay, is battered dramatically by the Atlantic surf. On the leeward side, the beach is met by the calm Caribbean waters of Frigate Bay. For hundreds of years before European navigators arrived in the Caribbean, the island's Carib community lived on this beautiful site. Three years after the first European settlers arrived, the Caribs were all but annihilated at Bloody Point. At the edge of the estate, standing as mute witness to the island's ancient, pre-Columbian history, is a cluster of large boulders marked heavily with petroglyphic symbols and human figures. Liamuiga, or 'fertile land,' was the Carib name for the island; in the 1980s, that name was given to St. Kitts' central mountain, a lush, 3792-ft volcanic peak known during the colonial period as Mount Misery. At the Southeast Peninsula the narrow neck of Frigate Bay Peninsula broadens to a wide, undulating plain that contains some of the island's most stunning natural features. There are nine unspoiled beaches and lagoons here, as well as the eye-popping pink salt pond--its color comes from its innumerable, miniscule krill shrimp. This protected wilderness area is also populated abundantly by tropical birds, as well as by white-tailed deer and black-faced vervet monkeys. In the yard of this modest church is the tomb of Sir Thomas Warner, the leading figure in the island's colonial history. The memorial itself is a fascinating object, replete with a finely engraved Elizabethan epitaph to the 'much lamented gent.' Warner, who earned his knighthood as a colonizer of St. Kitts and a number of other islands, died in 1648. St. Thomas is located in Middle Island, which followed upon the establishment of the island's plantations as St. Kitts' first European village.